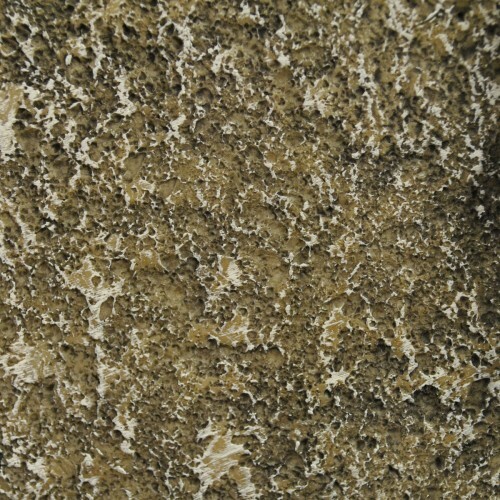 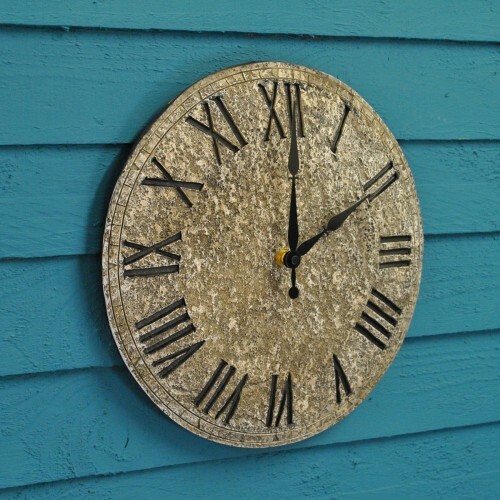 This striking wall clock looks just like grey granite rock. 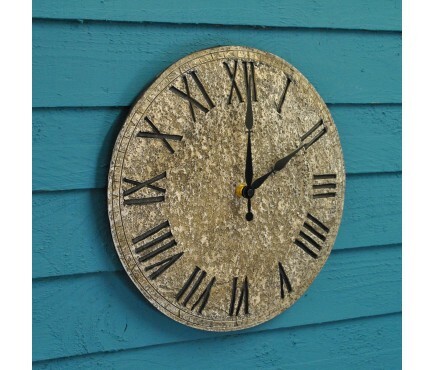 Unlike real rock, this clock is crafted from weather resistant Polyresin which is lighter and extremely durable. 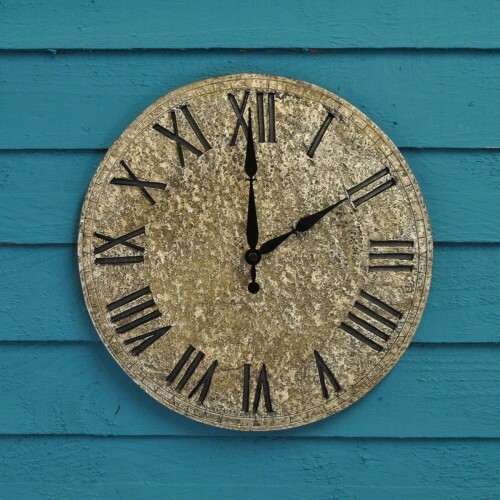 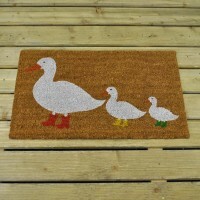 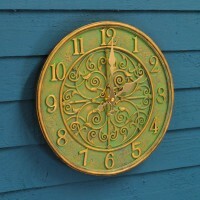 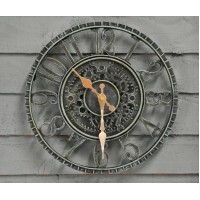 Suitable for use indoors and outdoors, this clock will compliment a range of interior and exterior styles. 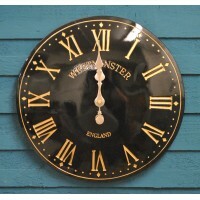 Featuring Quartz accuracy, this clock also has large Roman Numerals in black which are easy to read from a distance. 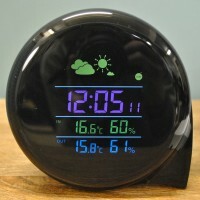 Please note that this clock has a 2 year guarantee and is powered by 1 x AA battery (not included).